Features: Made of artificial fiber, soft and with realistic look. 16 Funny Styles, 3 pcs of each style, suitable for different needs. Easy to Use. With self-adhesive tape on back, just peel off the tape and stick beard on face. Good for onetime use, suitable for both kids and adults. 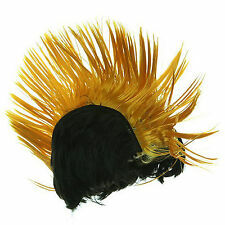 Perfect for costume party, Halloween party, mexican party, holiday and much more. 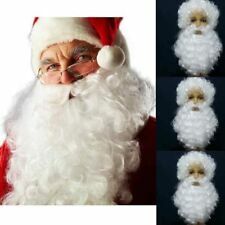 Specifications: Type: Costume Beard Material: Artificial Fiber Style: 16 Styles Quantity: 48pcs Item Weight: 30g (Approx.) 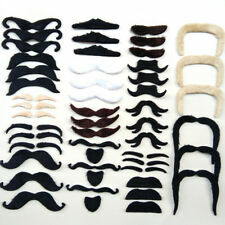 Package Included: 48pcs Costume Beard. First with Hairspray Hair Intact Docile. Bring Bald Sets, And Trim the Length of Temples. 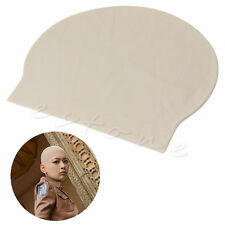 1Pc x Reusable latex Skin head Monk Nun Funny Fake Bald HeadCap/Wig Unisex Party Dress New. 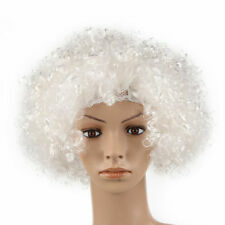 Includes - Light Shade Bald Cap. Easy to Use. With self-adhesive tape on back, just peel off the tape and stick beard on face. Made of artificial fiber, soft and with realistic look. Material: short plush. 16 Funny Styles, 3 pcs of each style, suitable for different needs. If any problem with my product. 50pcs Protective Cover Sheath Net (brushes NOT included). Keep brushes in good shape and clean, extend their life. Note: The real color of the item may be slightly different from the pictures shown on website caused by many factors such as brightness of your monitor and light brightness. Great for any sort of fancy dress party. Self adhesive - simply choose which one you want to use, peel off the back and stick it on. Fake Moustaches 6. We always put your satisfation on the first place, trying to do best to serve you. Hair Style : Cosplay Wigs. Hair Color : See the picture. Due to the difference between monitors, the picture may not reflect the actual color of the item. Hair Length : Long. I am scared to see low DSR rate or Neutral. The mustache & beard with elastic strap, suitable for most adults and kids. 1 x Fake Beard. Our goal is. Perfect design for bringing happy and surprise to you. We will be responsible for. 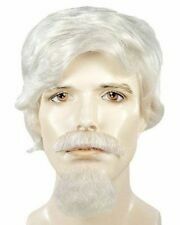 Item included: 1 wig free wig cap below. It's made of high-temperature resistant fibre. Adjust belt inside, it can fit most of head. Hope you can understand. You can style with wax by yourself. in 1 week after you receive it. Character : Miraculous Ladybug. Occasion : Cosplay / party / Daily clothing / Halloween. Wigs X 1 PCS. Color : As the picture show. 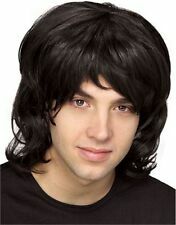 (Item included: 1 wig free wig cap below. 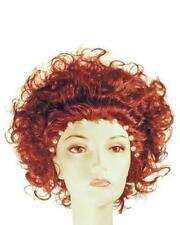 You can style the wig to the one below or what you like. Just need a little hairspray and trim:). in 1 week after you receive it. Heat treatable to 200 degrees and dyeing.Can be wash.Soft fibers for easy brushing and resists tangles. Material:100% High-quality High-temperature Synthetic fiber. ELSA FROZEN BRAIDED WIG. Based On The Style Sported By Elsa In Disney's 'Frozen' Film. These Are Made From Hard Synthetic Fibres That Do Not Resemble Real Hair To Touch Or To Look At, Often With Unsightly Static. 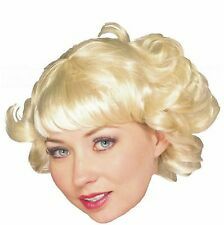 The wig is unsheared normally,You need to make style by yourself. Material: High temperature fiber. Note: Real item color may get a bit deeper than picture shows due to lighting, when photographing, hope you understand. Blanc longue perruque de l'assistant à la barbe ci-joint.